Last week, SWS, Water & Wastes Digest (W&WD), and Water Quality Products (WQP) editors traveled to Houston to speak with water professionals who experienced Hurricane Harvey firsthand. The effects of the storm were felt across the industry, from large wastewater treatment plants to small residential treatment equipment suppliers, and we tried to cover all the bases in a mere 30 hours. 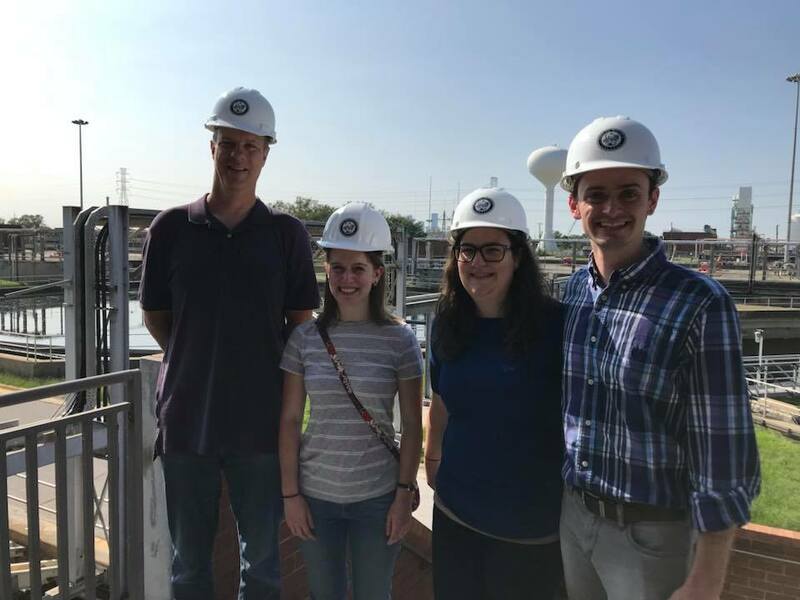 Our first stop on Wednesday was the 69th Street Wastewater Treatment Facility, the largest of Houston’s 40 wastewater treatment plants. W&WD Managing Editor Bob Crossen spoke with some of the plant’s staff—including Tomas Martinez and Sidney Bomer who were recently recognized at WEFTEC.17—about the plant’s preparation for and operation during and after the storms. Check out the W&WD Facebook page for live video footage of the tour and interviews, and stay tuned for more content from this visit. 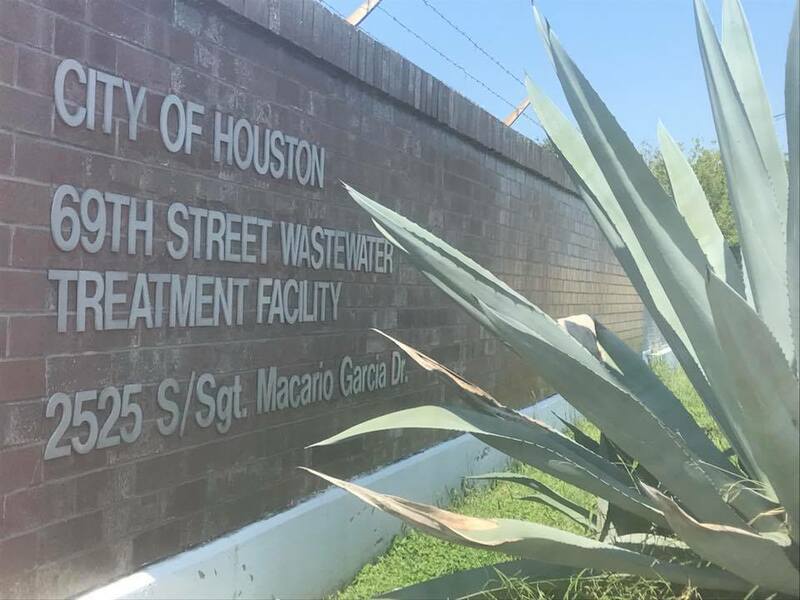 The 69th Street facility is the largest of Houston's 40 wastewater treatment plants. With a bit of the day left, we consulted a list of sites given to us by the Harris County Flood Control District (HCFCD) to check out one of the many emergency infrastructure repair projects around the city. This particular project was located on Sunny Ridge Drive at Horsepen Creek. HCFCD mapped out all areas of damage and debris on an interactive map, available on the district’s website. Because the map also includes photos of each area, we were able to see what this section of Horsepen Creek looked like after the storm. Check out more photos on the SWS Facebook page. 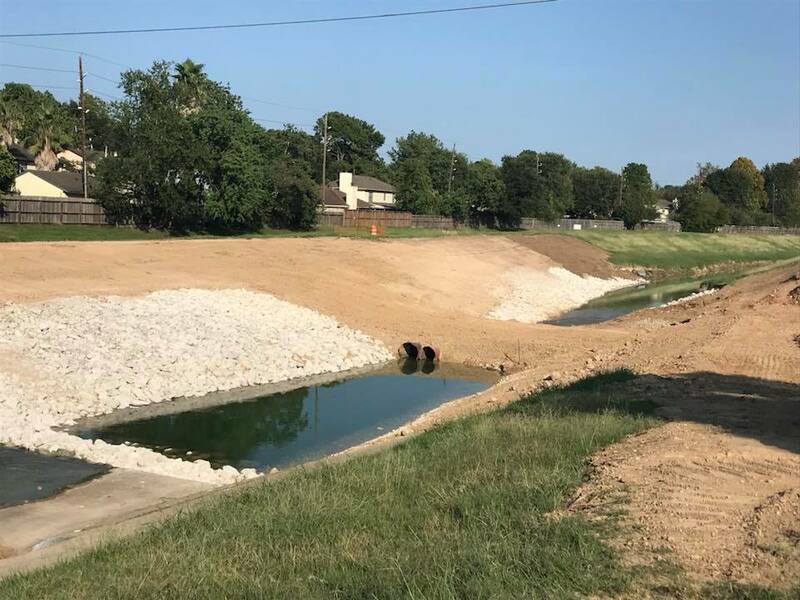 A portion of Houston's Horsepen Creek undergoing an emergency repair project. The next day, we visited the Deer Park Water Purification Facility in the southeast Houston area, which was covered in the October issue of W&WD. Nicholas Cook, plant supervisor, gave us a tour. Cook said the plant prepared for the storm by filling its tanks and shutting down production for eight hours to avoid contributing to the flooding by overflowing the tanks. After the storm, only one of the plant's pumps suffered motor damage; the rest of the plant made it through relatively unscathed. 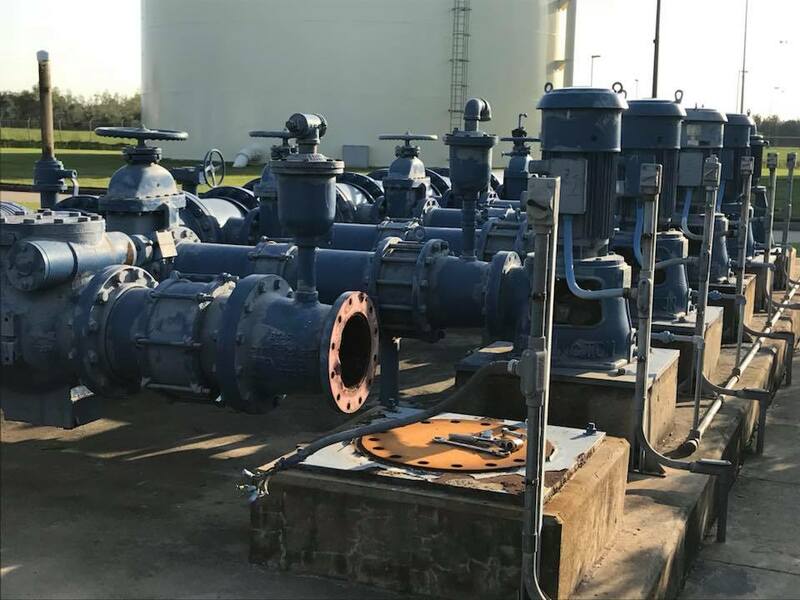 Only one pump at the Deer Park, Texas, facility incurred damage from the storm. 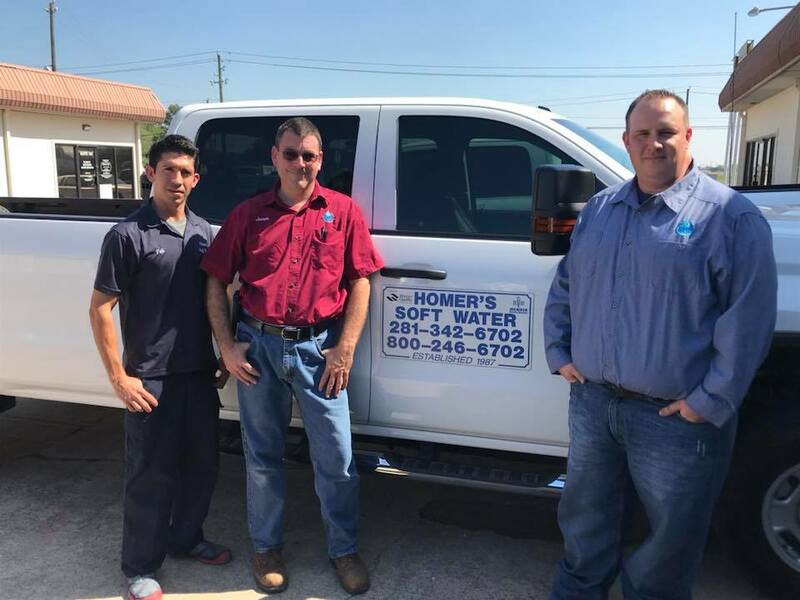 Our final stop in our brief visit to Houston was Homer's Soft Water, WQP's February 2017 Dealer of the Month. Owner Kevin Davitt spoke to us about the calls he received from well owners before, during and after the storm, and how his team mobilized to help test and treat his customers' water. Davitt has helped his customers through several floods in the last few years, and he is passionate about educating his customers about how to keep their drinking water safe. Homer's Soft Water Owner Kevin Davitt (pictured right) and his staff spent the days after the storm customers' drinking water for E.coli and other dangerous contaminants. Each facility and individual we spoke to had different experiences with the storm, but there were a few common threads that spanned all facets of the water industry. When asked what the biggest challenge was during and after the storm, the answer had little to do with mechanics or treatment processes. Instead, it was transportation. Getting from one plant to another or reaching customers' homes was difficult because of the high floodwaters. But—and here's another common thread—everyone we spoke to managed to get the job done. No matter the rising waters or the long hours, these operators and owners kept their plants running and their customers safe.